Rangeley Maine is the location of the Rangeley Lake Timeshare Resort. With miles of ocean coastline, tall hardwood forests, lakes, lighthouses, and charming villages, Maine is a vacationer’s paradise. There are countless recreational opportunities, from sailing or lobstering to hiking or visiting music festivals. These exciting activities make Maine the type of place you’ll love to visit over and over. Purchase a timeshare in Maine for the opportunity to return each year for a fun, relaxing getaway. Check out SellMyTimeshareNow.com’s inventory of affordable timeshares in Maine. How Do Maine Timeshares Work? When you get a timeshare, you purchase the right to use a resort or vacation home for a specific period of time each year. With a traditional time share, you typically use the property at the same time every year. Points-based timeshares allow you to purchase points that are redeemed for access to one of several resort properties. Points-based timeshares do not lock you in to a specific vacation time each year. Some traditional timeshare arrangements allow you to exchange your timeshare for a different week of the year. Buying a timeshare in Maine provides several benefits over other vacationing options. Timeshare properties are typically resorts or condominium-style units, giving you more spacious accommodations than regular hotels. With a timeshare, you can make free use of the property during the time you are there. This gives you the flexibility to use an amazing vacation property without the hassles of home ownership and property maintenance. Many timeshare properties feature restaurants, golf courses, beach access, and children’s activities. Plus, you can pass your timeshare on to your heirs, providing exciting vacation opportunities for generations to come. InnSeason Resorts offers timeshares at The Falls at Ogunquit property. Ogunquit is a small, seaside village with the motto “Beautiful Place by the Sea.” The Falls at Ogunquit offer spacious one- and two-bedroom suites complete with a kitchenette, full-sized living room, and whirlpool tub. This family-friendly resort offers guided hikes, swimming lessons, barbecue areas, a library, and a sauna. Prices for an annual one-week timeshare range from $3,000 to $14,000, depending on the season. Summer and early fall months tend to be more popular with tourists, making timeshare prices higher during these times. Rangeley Lake is located in the western mountain region of Maine. This area offers year-round recreational activities, from canoeing or boating in the summer to world-class skiing and snowmobiling in the winter months. The Rangeley Lake Resort is located on the eastern side of the lake and features a variety of cozy cabins. Each cabin includes a porch, fully-equipped modern kitchen, washer and dryer, spacious living area, fireplace, and easy access to the lake. The resort clubhouse is available to all members and includes a fitness center, heated pool, Swedish saunas, hot tubs, and verandas with fabulous views of Rangeley Lake and the surrounding mountains. Prices for an annual one-week timeshare vary from $8,000 to $23,000 depending on cabin size and time of year. Many of the cabins accommodate 8 to 12 guests, making them a great value for large families or groups. Purchasing a timeshare at Rangeley Lake Resort also gives you the opportunity to participate in a vacation exchange program in which you can trade your week at the resort for another timeshare vacation. Jackman is located amid the mountains and hardwood forests of western Maine. InnSeason Resorts offers timeshares at its Mountainview property in Jackman. You can choose between log cabins or lodge suites when selecting a timeshare. The cabins have two or three bedrooms and two baths, providing plenty of room for a family. Each cabin has a full kitchen, a spacious living room with cathedral ceiling, fireplace, whirlpool tub, and private front deck. Lodge suites have one bedroom, one bathroom and feature a fully-equipped kitchen, bedroom with TV and VCR, a spacious living room, and private deck with spectacular views. The resort offers indoor and outdoor swimming pools, a sauna, a game room with pool table, and an excellent exercise room. Prices range from $5,000 to $18,000 depending on season and accommodations size. Bethel is a small, remote town in the mountainous western region of Maine. The Bethel Inn and Country Club offers timeshares at its quaint, historic property. The New England Travel Magazine recently named this property the “Best of New England” resort for outdoor sports. The 200-acre property is surrounded by mountains and lakes, providing amazing recreational opportunities right outside your door. The property offers one- or two-bedroom suites as well as luxury townhouses with up to three bedrooms. Townhouses have a fireplace, washer and dryer, full kitchen, and a sundeck with fabulous views. The resort property features a year-round outdoor heated swimming pool, saunas, fitness room, spa, game room, and tennis courts. This family-friendly facility provides access to swimming, hiking, shopping, skiing, sailing, canoeing, and mountain biking. Timeshares for a suite cost between $4,000 and $6,000, while townhouse timeshares are more expensive. 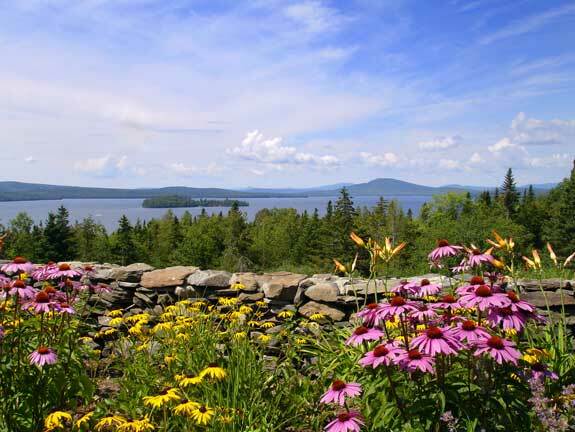 Rockland, located on the beautiful shore of Midcoast Maine, delivers classic New England charm. Trade Winds on the Bay Vacation Club offers an authentic Maine experience with its vacation suites. Each spacious suite features a comfortable living area, modern kitchen, and hardwood flooring. Nearby attractions include the Maine Lighthouse Museum, the Farnsworth Art Museum, and historic downtown Rockland. Acadia National Park is just across the Penobscot Bay and features breathtaking scenery and exciting recreational opportunities. An annual timeshare at this property costs from $5,000 to $30,000 depending on suite size and time of year.